This is sponsored content. All thoughts and opinions are my own. Snow days are often days that you are forced to stay at home due to weather! 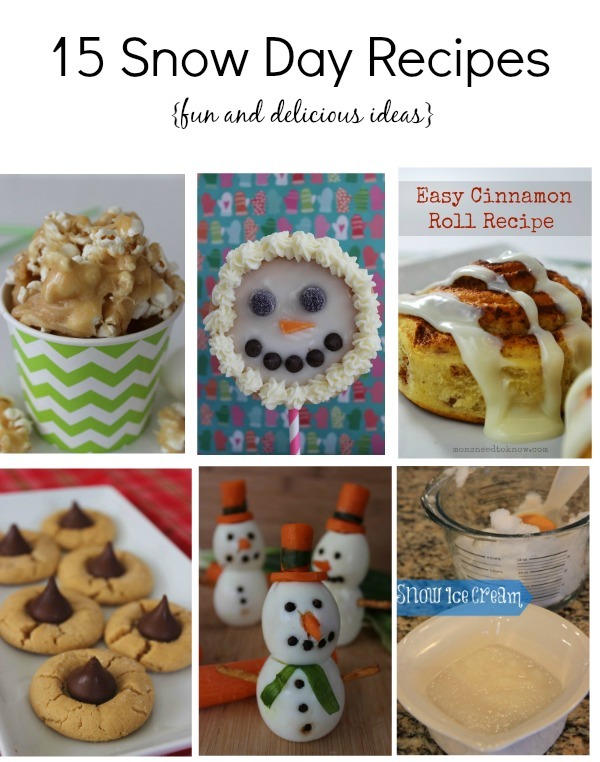 Make it fun with these fun recipes! We have you covered from breakfast to dinner with fun snow day themed treats or just deliciously fun ways to spend the day! We have created this Foodie collection for you with 15 ideas! What are your favorite snow day foods? This post was sponsored by Foodie. Rest assured, this Post was written by me and was not edited by the sponsor. Read more on my Disclosure Policy.